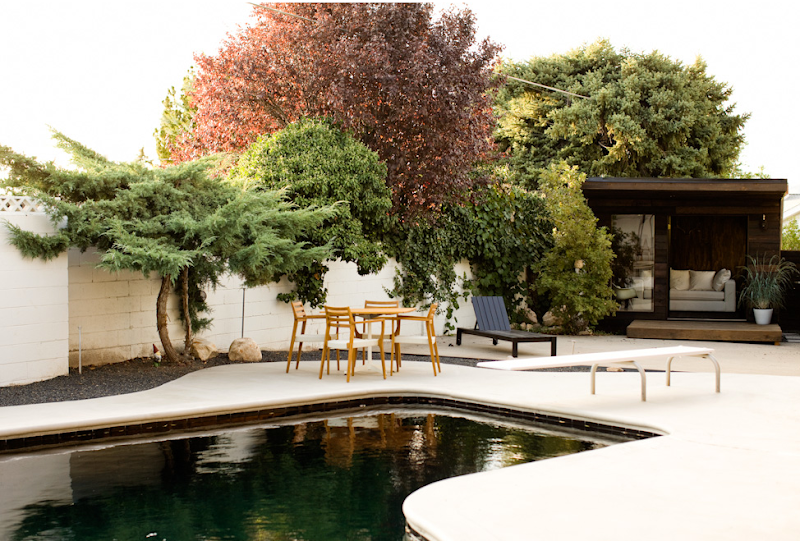 It is amazing to see how far great vision and taste can go to transform this drab 1950's house into the stunning Mid-Century modern home above that happens to be located in Salt Lake City. What a fabulous and inspiring before and after undertaking! Isn't this one a beauty? 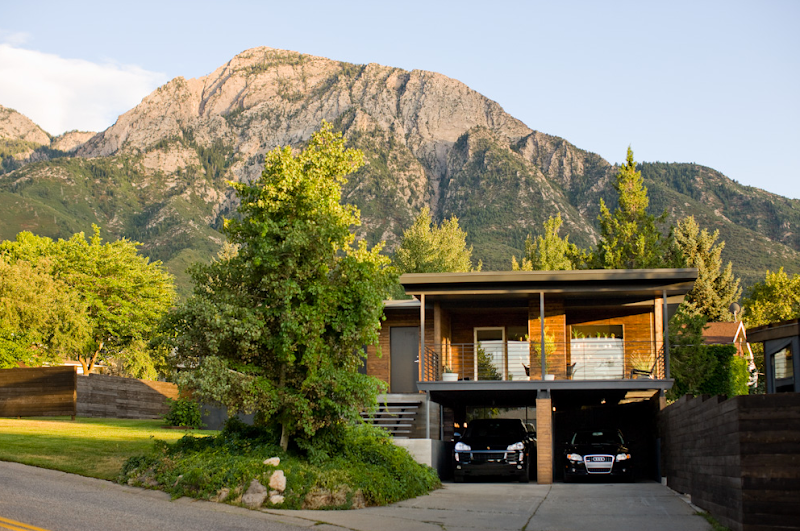 Wish we were in the market to buy right now -- because you really don't come across too many of these beauties in Utah. I am going to pause now, and go pick my jaw up off the floor. All photos by Tyler Gourley and you can find more about the home here. 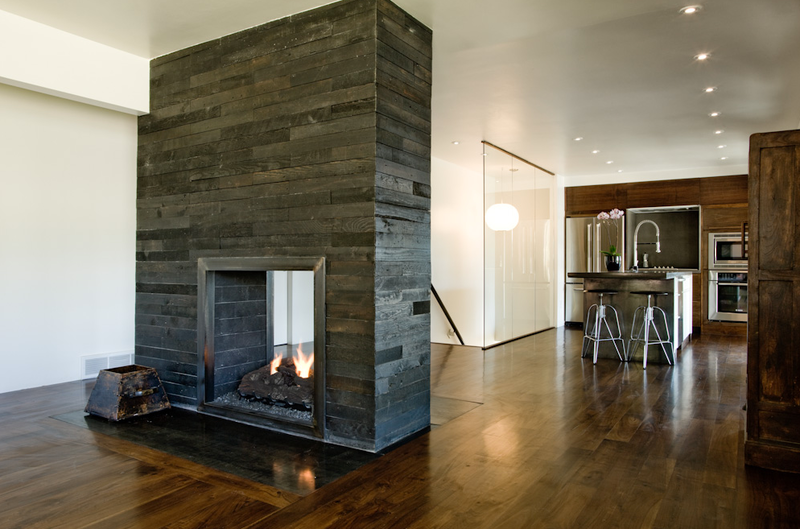 I absolutely love that fireplace. I love the garage. Must show my husband...this is exactly what I want to do when we renovate our house. Thanks!! 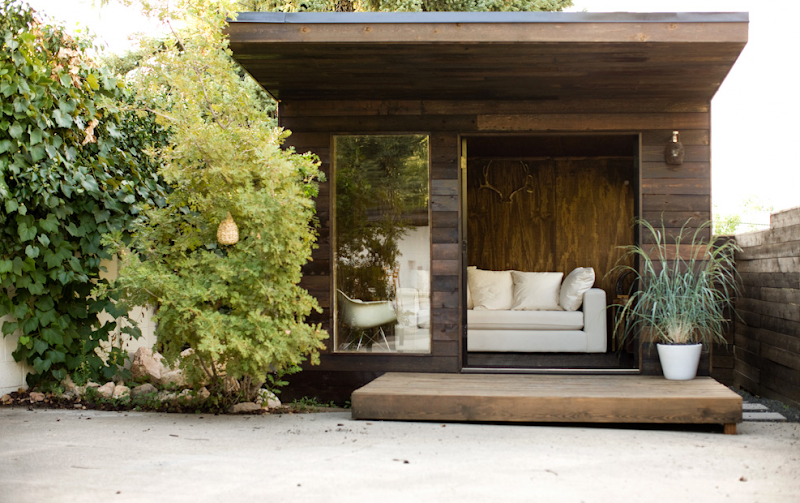 and i'm dying over that pool + little pool house! LOVE! that fireplace is amazing. I love the shelves of plants in the kitchen windows. What a great place! Beautiful! I'm actually heading over to that area this weekend. So picturesque. That is one cool casa!!! I have friends moving for California to Salt Lake City --- they would love this!! Wow, gorgeous! I wouldn't have guessed it was in Utah, but that makes it all the more special! well this is nice! love it! DANG! My heart goes pitter-patter. Completely beautiful. 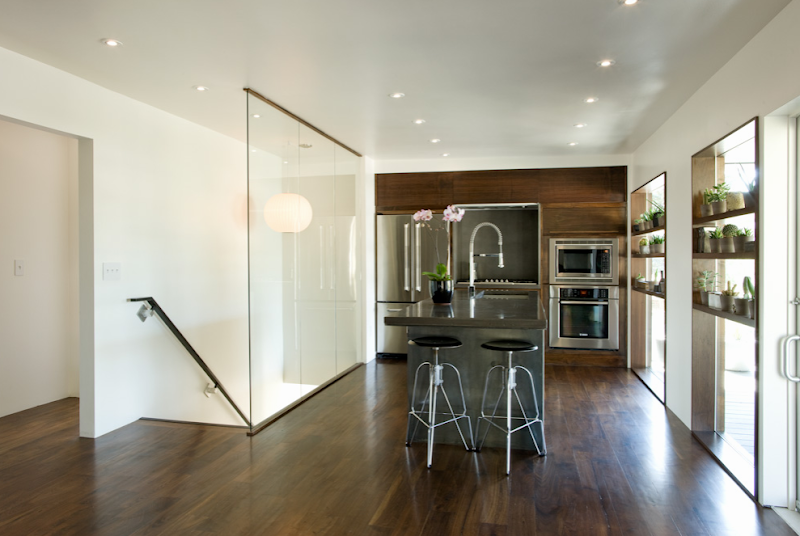 Can you imagine keeping the fingerprints off the glass wall in the staircase by the kitchen?! how gorgeous. The setting (with that big mountain behind them) for starters is just stunning. I'm looking at those beautiful floors... it makes me feel guilty for not swifering mine right now. Wow wee! I LOVE this house!! oh my gosh, i heart this house so much! mid-century modern is my absolute favorite. and that fireplace! i can't get over it. oh my, that house is beautiful. I love the floors! oh to dream - that house is amazing. I am moving to India this year to volunteer. I'm so so so excited about it and am going to be working in rural areas trying to provide basic services that we all take so much for granted. It is going to be an amazing trip and I'm fundraising for it right now! Beautiful home! Like the way it's tucked in to the base of the mountain. And that pool area...love! Stunning fireplace and outdoor living area. I don't think I would ever take my surroundings for granted if I lived in a home like that! Amazing! the old school diving board is my fav. This is an amazing transformation. The before pictures are crazy and the after pictures make me want this house. geez, the before pictures are nuts! there are a lot of houses similar to that in SLC (where I grew up) and plenty of stunning views.